Caviar gives rise to expectations. Where there is caviar, there is festivity. Usually as part of a gourmet dish. Sometimes served by itself on toast or biscuits. All making expectations rise even more. It is these expectations around which our quality process revolves. And it begins already at sea. Our suppliers are located on the shores of the icy Nordic waters. They have strong ties with the fishing industry. 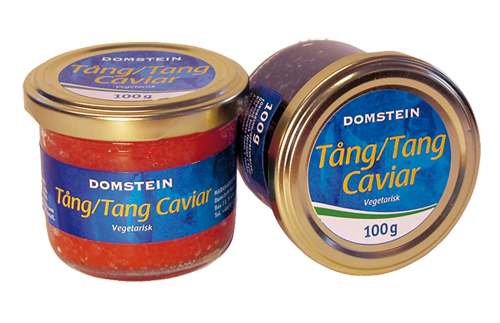 This caviar has a fresh, marine taste and fit in other words, excellent in such a picnic to one of the hot summer days. Vegetarian, Seaweed Caviar. Cholesterol free!